Many of your fellow job seekers are still enjoying the holiday season, probably just like you were planning to. But now it's time to put the pie down while everyone else is caught up in all the festivities, sales and snow trips. With the hoildays coming to fast end, those who are out of work are going to have a lot of downtime on their hands to make use of. People say that the early bird gets the worm, and the earlier you start the more worms you're bound to snag. Being that most job hunters are taking a break, interviewers have less on their plate. At this time of the year, recruiters and managers still in the office have fewer meetings and pressing deadlines. They're looking for something to make their time at work more interesting so they'll be more inclined to respond to your meeting request or introduction on LinkedIn. For people who want to expand their network, this would be a good opportunity because this is when companies are preparing for the next quarter or new fiscal year when the level of activity jumps. Being that most executives will be on vacation and out of the office, everyone's guard comes down a bit more. People around the office are a little more open to talk because the fear of it getting back to someone has lessened. If you want to get the scoop on what really goes on arond the office then now's the time to start digging. You can bet that around the end of the year, most employers would rather get those open positions filled--and quickly. Not only are they anticipating an onslaught of applications in the beginning of the next year but most would rather put their time and attention toward other pressing matters. Most hiring managers have already started looking at their budgets for the new calendar year so they'll begin opening up new positions for 2012 at any moment if they already haven't. Plus, many companies pay annual bonuses in January so there's usually a fair amount of turnover at the start of the year due to disgruntled employees bailing after receiving their bonuses. Take advantage of these opportunities by getting employers to notice you and you may be on their minds when they need someone to fill an empty slot. So you've made it to another one of life's milestones--graduating college. Now what? That's the question on most grads' minds after receiving degrees that they've spent years working for but may have put little thought into its uses. Even though the unemployment rate dropped to 8.6% last month, many college grads are still facing the same career-finding challenges. Regardless of economic climate, recent and not so recent college grads should prepare a strategy--a plan of action--for when they transition from being a student in the classroom to a competitor entering the job market. A recent survey done by the Career Advisory Board showed that 56% of job hunters claim they know for sure of the need qualifications for employment. However, over the past few years, just 14% of hiring managers reported that "most" or "nearly all" job candidates actually had the skills their companies were looking for in prospective employees. With so many applicants mistakenly confident in their job endeavors, it's easy to see why they're stumped by all the rejections. To be fair, these things are not taught in the classroom. These lesson plans are saved for life experiences which means the info doesn't get spoon fed to you like you may have been used to. But for those who prepare themselves ahead of time they will have better chances of getting their feet through the doors. Once armed with all the necessary tools (a strong resume, thorough industry background research, etc.) navigating the job market is another challenge many grads face, especially one as unfavorable as this. To help these hopeful grads start the new chapter in their lives, here are tips for how to make the most out of your degree in a less than thriving job market. Create a list of about 10 or so companies you're interested in applying to (remember, research each company of who they are, what they do, what they're looking for, etc.) and be on the hunt every day. That doesn't mean you have to spend every waking moment at it, but you should set aside a couple of hours each day to your job search and keep goals/tasks in mind so that you have a game plan as to how to conduct your search. Think about how many to apply to a day, who you'll be researching next, and even practice your interviewing skills.You're no longer a student and until you become a company's employee, you're new occupation is Job Hunter. The more you slack on your productivity the less results you can expect to see. Nowadays it's all about the new and innovative forms of communication, but don't be afraid to venture away from the computer screen. While it's an easy, efficient, and typically preferred way to contact employers, taking the extra step of making a face-to-face connection at conferences, events, career fairs, etc. can tremendously help. It's easier for people to remember you by putting a face to the name, not to mention the bonus of expanding your network throughout the industry. Over half of your efforts should be offline, especially when most people take the online route, you could get lost in the flurry of applicants. When you're trying to get people to give you a chance, don't limit yourself. When you limit your options, you limit your chances. Naturally, once you land the interview you may want to seal the deal by chatting away your skills to impress the interviewer. But be aware of how much you're talking as you don't want to sound boring or self-centered. Keep your nerves at bay as best as possible and really take in what the interviewer is saying. You'll be able to ask better questions as well as provide them with the information they want to hear. An interview is essentially a conversation between you and the employer for the company to get to know you better and get a feel for who you are in person. Communication works both ways so don't assume that the interview is all about you. Consider that more often than not actions speak louder than words. Every good interviewee should know that no matter how well the interview went, in order to leave a lasting impression you must follow-up. But timing is everything. Don't send it too early as it can defeat the whole purpose since they'll probably already remember you. You want to refresh their memory of you and if they receive your follow-up and/or thank you card a few days later--after they've been interviewing a number of candidates--it will cause them to think back on your interview. A successful candidate is one that stuck out of many, make sure you don't get lost in the crowd. 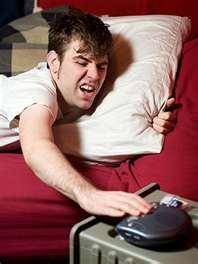 The snooze button-- the first resort and biggest impairment for a night owl. Without it, me getting up, nevertheless just waking up, probably wouldn't happen. It's something that I've come to rely on yet want to eliminate as my crutch for getting out of bed every morning. The tough part is having a lifestyle, like most people, that doesn't run on whatever sleeping habits they may have; in my case all the bad ones. I admit that I probably don't take all the necessary measures to help improve them, like watching TV or using my computer in bed, but at the same time it seems like even when I do shut everything off and stick my nose in a book I still find myself up long enough to finish the last page. For those wondering "Can I change?" the answer is yes! But, of course, change doesn't happen over night. After all, old habits are hard to break especially if they've been around for as long as you can remember. It's not impossible, though, and I've found ways that can help myself and fellow nocturnals become the morning people our lives demand us to be. WHY USE A CLOCK TO GET UP WHEN YOUR BODY HAS ITS OWN? Ever heard of a Circadian rhythm? Me neither, up until now. It basically refers to your built-in body clock that roughly runs on a 24-hr cycle. It adjusts to the environment using external cues called zeitgebers, one of which being daylight. The cells that run your body clock are located in the hypothalamus of your brain. When your body senses sunlight, the cues for consciousness start ticking. There are also chemicals in your body that work with your clock that move to this rhythm. At night, your body secretes melatonin to make you sleepy and at about 2 a.m. you get your deepest sleep (well, you're supposed to at least). Then by daybreak when your blood pressure begins to rise back up the melatonin secretion stops and you get your highest alertness a couple of hours before noon. This is all based on a schedule of someone who typically rises early, eats lunch around noon and is asleep by 10 p.m. For everyone else, our clocks become way out of sync. Now is the time to reset it. On average, adults should be getting about 7-8 hours of sleep a night. To get your internal clock back on track, let your alarm clock take a little vacation. Set up a time schedule for going to bed and waking up that accomodates those sleep hours and be strict about it. That means no cheating on weekends when you're used to sleeping in. Sticking to a regular schedule helps your body get out of sleep debt and add energy to your morning routine. In order to get some good sleep your bed must be the right temperature otherwise you'll be too uncomfortable to ward off fits of tossing and turning. The magic number is about 69 degrees Farenheit and as you sleep your body temperature drops with the flow of melatonin. For your body to chill out, your mind has to first. Watching TV or surfing the internet before bed keeps your brain active making it hard to shut down for some shut-eye. To help, take a hot bath or shower to relax you and the decrease in body temperature when you step out encourages the melatonin to kick in. Make sure to keep your room dark to avoid adding stimuli to your brain as it continues to interpret them even while you sleep. If you're still having trouble sealing those eyelids, engage yourself for about a half hour in a light activity like a puzzle or book in a dimly lit setting until you reach droopiness. Getting out of bed is just the beginning. As tempted as you are, you must refrain from hitting the snooze button or you'll find yourself back at square one. The easiest way to do this is to keep your alarm in a place where you'd have to get out of bed for it. My alarm also happens to be my cell phone which makes me reluctant to detach it from my reach (because I get so many important messages after 10 p.m.), but I know I'm just in denial of my lack of willpower. Try preparing for your early rise the night before by picking out what you plan to wear. Even leave something aside to look forward to waking up to like the new coffee you've been wanting to try or an album you've been waiting to listen to. If that motivation isn't enough, the surefire way to avoid being a zombie is to get outside and take in the fresh morning air. You'll realize fast that your reintroduction to the outside world shakes off any remnants of your sleepy self. Personally, once I remember that there's a world out there ready for me to get into action, I wonder what was so appealing about staying in bed in the first place (but only until the next morning when the world turns back into a cruel, cruel place). R&R - Rest and relaaaxation. Hot bath, cool room--nighty night. YOU SNOOZE, YOU LOSE - get a good night's rest and avoid having to hit the snooze button-- ever again! Facebook? Hiring? These two words may sound like music to anyone's ears considering the vast amount of users (800 million vast) who are on the popular social networking site. This could be their chance to take advantage of turning their pastime into dollar signs. "Like" the sound of this? But (and yes, there is a "but") like anything else, where there's good news there's also bad. First, the the bad news: The Palo Alto-based company is hiring, but at this point mainly for its new location on Madison Avenue in New York to expand it's East Coast operations there. The good news: According to Chief Operating Officer Sheryl Sandberg Facebook will be taking on thousands of new hires in 2012. The company plan's to make the engineering office the home of its marketing and advertising offices. This news of a bicoastal addition comes openly embraced by Mayor Michael Bloomberg who's made it a goal to expand the city's tech industry, emphasizing his desire to have the "next Facebook" start in New York. Facebook is still a relatively small company in terms of headcount with roughly 3,000 employees, despite it's expected IPO valuation of around $100 billion. In fact, for users familiar with the application FarmVille, its maker Zynga has more employees along with Yahoo!, Groupon, and Google. The reason the company has kept its headcount low is, interestingly, a matter of space rather than capital. In its early days, Facebook began in a house before moving to a pair of small offices in Palo Alto, then to a bigger space is East Palo Alto and now outgrowing that. Soon, the company will be relocating its headquarters to nearby Menlo Park. While founder and CEO, Mark Zuckerberg has decided to keep its numbers private for now, Facebook's rapid growth and steady dominance in social networking has people anticipating that it may go public as early as next year. Facebook is accepting applications for its openings now. Everyone is encouraged to apply and if you're considering a move to the "Big Apple" now may be your chance to take a bite out of a big opportunity. 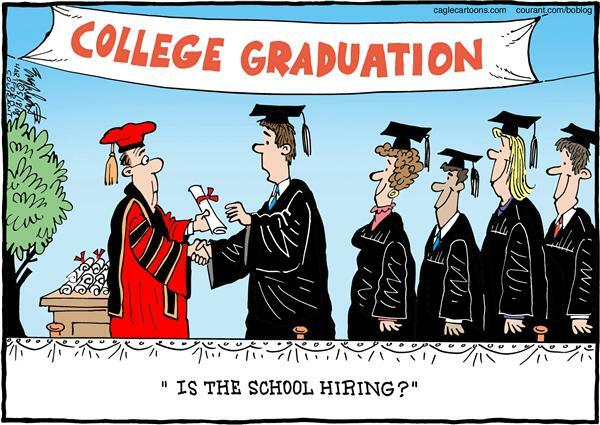 Getting your first job whether you're a teen, college grad, or older can be challenging. It can be especially disparaging trying to get your foot through the door when no one seems to want to give you a chance. 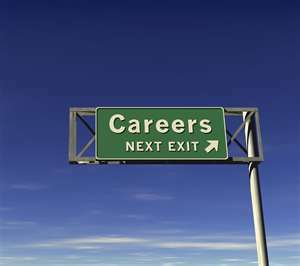 But adequate preparation will make your job search much easier in giving you the edge employers are looking for. Get an idea for what requirements are needed in the field or job position you're interested in. You'll need to assess your skills and experience and any additional you may need. A strong resume is your talisman for equipping yourself in the application process. Before going after any mission, in this case getting an interview, you need to know your plan of attack. Ask yourself where you're going to apply, what position, how much you want to make, will this be full or part time, long term or short term, etc. In this day and age, it takes more than having a degree. You have to know what your goals in the long run are what will be necessary to get there. Start with the basics and move on from there. You're resume is a reflection of you and your capabilties in the workplace. The utmost effort should always be put forward when compiling your resume. You can take workshops on how to boost your resume and on how to write an effective cover letter. Cover letters allow you to elaborate on your resume and give the employer a sense of what you'll be able to contribute to their company. These are vital keys in opening doors to opportunity. The best way to find every possible opportunity is by using a variety of job search engines. There is an abundance out there that can tremendously help you if you're willing to take the time to look though them. Utilizing all your available resources will give you a better chance to reach out to potential employers. These sites allow you to post your resume for employers to find. If you limit your search, you limit your prospects. 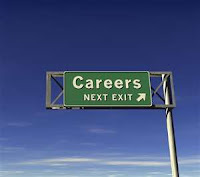 Careers fairs are great because you not only get to apply for a job but you get to meet the employers face to face. It's the perfect opportunity to meet other job hunters and expand your network. Employers will get to put a face to your resume and this will give you a chance to make a first impression. Be sure to dress up, business casual is usually appropriate but always do some research into what types of companies will be there to get a better idea. People will often tell you it's not about what you do, but who you know. For the most part, this is true. The more people you get to know the more you'll get in on the resources and inside information, upping your chances on obtaining a position. People who get the most out of their connections gain credible references and have higher chances of getting an interview. You never know if your first job may come someone you have yet to meet. Learning about a company's background will allow you to gauge how suitable a position there will be for you. It will also give you some insight as to how to approach your employer in a cover letter and what will stand out in your resume. You also might be able to find out who to address it to. Finding out what the company is looking for will give you a better understanding of who they are, what appeals to them and if you're right the right candidate. Internships are a great way to gain experience in field and don't require an extensive list of quailfications. However, most are usually compensated through experience rather than money which can make them costly if you're looking for a means of income. Internships look good on resumes and employers like applicants who have shown to be versatile and go the extra mile. Don't stop looking because you think you can't find anything else. Be flexible and keep an open mind when it comes to applying for jobs. Consider other positions that you think your resume will work for. Even though the position may not be your first choice, it can open up other opportunities for you and it may lead to something you don't expect, you might actually find that this is what you what to do after all. If you find yourself having to kill a lot of down time you don't want employers to see it in your resume. Find projects or organizations that you can stay involved in so that even though you may not be working yet, you can show employers that you have the drive to keep productivity in your life. Plus, even if it's just volunteer work, those experiences can be useful when applying for jobs relevant to it. The worst that could happen each time you apply for a job is that they don't call you back which leaves you right where you were to begin with. Essentially, you have nothing to lose and everything to gain. So always keep trying and pursuing jobs. The more you get out there, the more possibilities you allot yourself. Landing an interview doesn't happen right away so don't hold yourself to unrealistic expectations. All you can do is to keep fishing and sooner or later someone is bound to bite. These tips are a good starting point if you're on the hunt for your first job. Don't limit yourself, keep learning and allow yourself to explore all your options.